I share a lot of crafts and activities here that are designed to help kids develop and build fine motor skills. 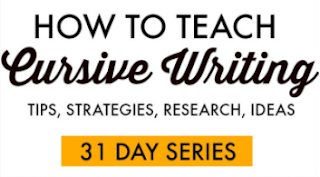 It's usually the preschooler who is working on pre-writing skill work and building a base for holding a pencil or using scissors, or the early elementary aged child who writes with an awkward pencil grasp and needs to boost hand strength. Sometimes, though, I'll get questions on how to help older kids develop hand strength and fine motor skills. 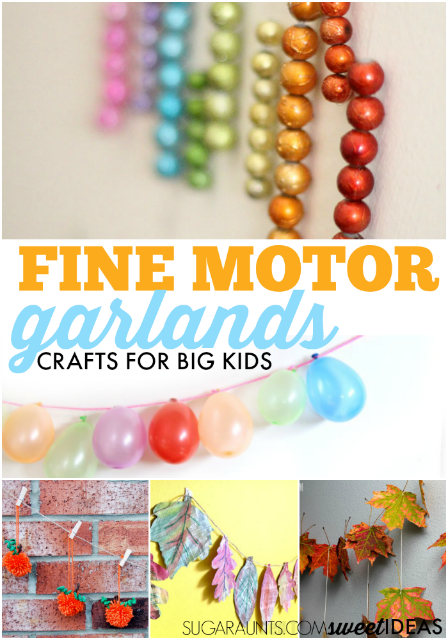 Children who are beyond the early grade levels and have aged out of the younger crafts and activities will love these garland crafts that are perfect for promoting fine motor sills and hand strength. Garlands are a fun craft that can be used and created year round. From parties to holidays, or any day, a garland is a nice way to boost self-confidence in a household decor item. 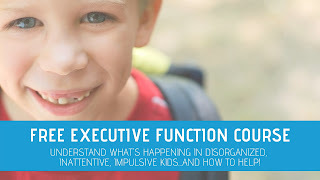 This makes garlands just the fine motor tool that can help older kids who are aware of their weaknesses and might be a little (or a lot!) proud to see their handiwork hanging on the stair banister. 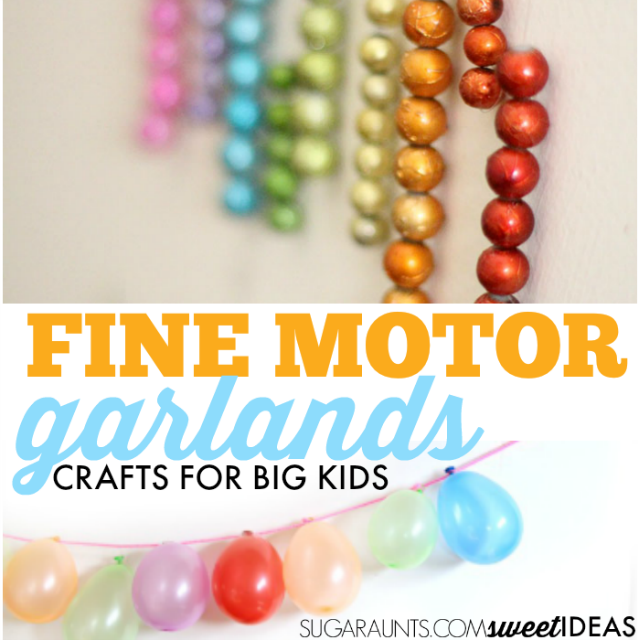 Try using these fine motor garland crafts with your teen or older kid! This beaded garland is a great way to build fine motor skills. Threading beads helps open the thumb web space, promote separation of the two sides of the hand, and work in-hand manipulation skills. A craft that provides an opportunity for painting, cutting, and threading is a nice way to help kids establish and build fine motor skills. This Newspaper Leaf Garland does just that! Kids can prepare for a party or celebrate the day while addressing bilateral coordination needs while making this balloon garland craft. A wooden name garland would look great in a teen's room or hanging on a door. Older kids can customize and create a woodworking project as detailed as they like. Older children find coloring just as stress relieving as adults do. This woodland animal garland allows teens to cut, customize, and create a garland using printable shapes. Make this craft for a friend. Teens can benefit from threading activities just like smaller kids do. This fall leaf garland provides an age-appropriate threading task to create a fun fall festive home decoration. Making yarn pom poms is a fantastic way to work on bilateral coordination, motor planning, and in-hand manipulation skills. Allow older kids to make several pom poms to create a pumpkin pom pom garland. Tying knots is a great way to help kids strengthen their fine motor skills. This knot garland would look great hanging in a teen's room! Older kids will love to head outside to grab some colorful leaves in order to create a fall leaf garland. While threading the leaves, they are addressing eye-hand coordination, tripod grasp, and bilateral coordination. Teens can help prepare for a party or celebration by creating a garland like this new baby garland. Creating a pattern while putting the parts together allows for bilateral hand coordination. 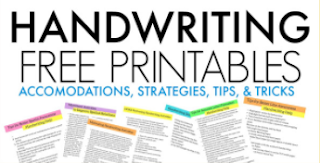 Do you have an older child or teenager who needs to build fine motor skills? What are their favorite ways to work on these areas?